Are you covered at the wheel? While automobiles have offered many decades of convenient, personal transportation, they also present their fair share of risks when you’re at speed on the open road. Here in Ontario, drivers are required to have at least some extent of auto insurance in order to legally drive a vehicle. At a minimum, this coverage includes liability, accident benefits, direct compensation and uninsured motorist coverages. The last thing you want is to get pulled over or get caught in a freak accident, only to find yourself unprepared and uninsured. 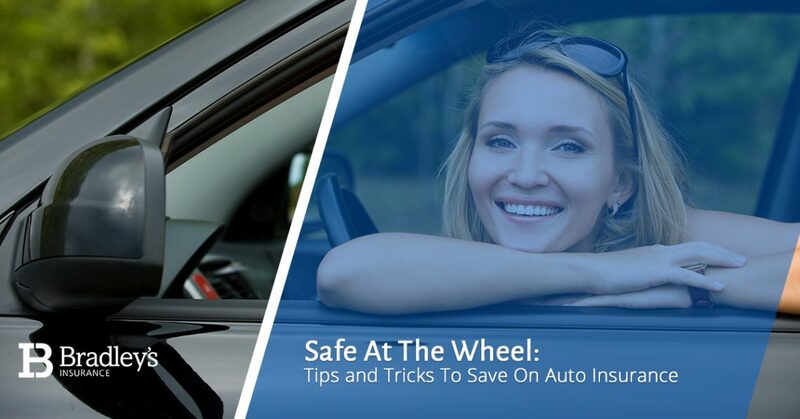 In the interest of our local Stittsville and greater Ottawa community, your auto and home insurance bundle experts at Bradley’s Insurance offer some tips and tricks to get the best rate on your auto insurance. Why not get the best deal that you can when you’re already required to have auto insurance? Invested in our local communities after decades of serving our people, Bradley’s Insurance cares about the future of your financial wellbeing in addition to being safe on the road. To learn more about Bradley’s Insurance home and auto bundle policies, please visit here. Now, how does saving money while staying safe and protected on our open Canadian roads sound? Let’s take a look at some of these auto insurance pointers. When it comes to finding a great deal on auto insurance in Ottawa, saving money isn’t all about finding the lowest premium (though, in many cases, that does help). While some insurers might have lower premiums, they also might end up costing you more in the end. Things like lowballing loss estimates, hassling repair shops to cut corners and forcing you to pay over inflated prices for original-equipment replacement parts. Additionally, you could even pay jacked up prices on your premiums after an accident by going through a shady insurer. So, it’ll pay you to go with a top-rated insurer with a reputation for being fair to their clients. It’s a fairly common practice across the industry for insurers to offer fairly significant discounts on your auto insurance if you also buy your homeowners, renters, or life insurance policy from them. While this is typically a great deal for the consumer, be sure to check out the total costs both ways and look at premiums from different insurers versus premiums with single-insurer packages. Most places allow insurance companies to use your credit score as a factor in settling your premiums – check with your insurance company to see if they do that. It’s also a good idea to regularly check for any credit-reporting errors that might be negatively impacting your score. If your finances have been adversely affected by an economic recession, military deployment, divorce, job loss, the death of a family member or a loved one, or medical complications, communicate this to your insurer and ask for an exception. More often than not, they’ll be willing to find a financial compromise. Naturally, the vehicle you choose to drive plays a large role in determining your auto insurance rates. Vehicle damage is the biggest cost component for auto insurers, so premiums will vary by auto model. When you’re car shopping and comparing models, ask your insurer for premium quotes on the different models under consideration. If you’re looking for home and auto bundle quotes in Ottawa, the friendly team of insurance agents at Bradley’s Insurance can help! We’ve been serving Stittsville and the surrounding area for decades, providing home and auto insurance at affordable rates for our local community members. Learn more about our home and auto insurance brokers by getting in touch with Bradley’s Insurance today.